THE CLIMB is the coming out story of Skyler Phoenix and his journey to find acceptance and love in the midst rejection. With defenses around his heart and his trust at an all-time low, the once-strong Skyler struggles to love himself even when his new foster family and friends offer him the unrelenting opportunity to thrive and grow as a gay teenager. Knowing that coming out would not be an easy feat, Skyler and his best friend, Cameron, struggle over how and when they should tell their conservative Christian families. When their deepest secret is accidentally discovered, their best efforts at surviving the onslaught of Biblical truth are thwarted by the very message of love—and condemnation—their churches preached every Sunday. Nothing prepares Skyler for the toil of rejection and abandonment when his foster parents discover he is gay. 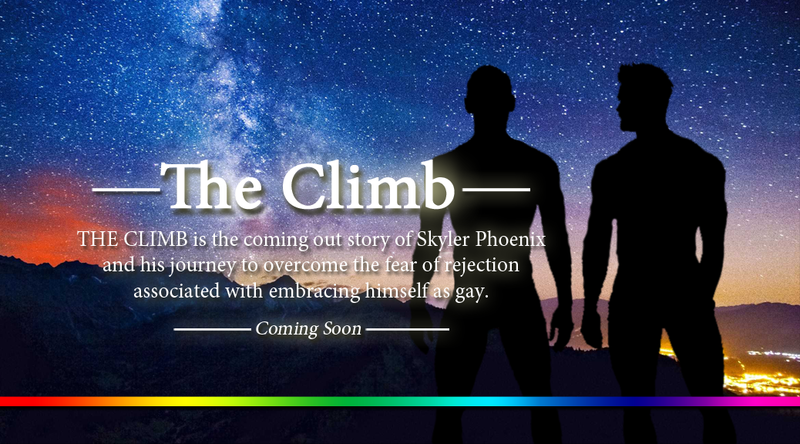 THE CLIMB is the coming out story of Skyler Phoenix and his journey to overcome the rejection he faced when he embraced himself as gay.